Aker BP ASA leverer Plan for Utbygging og Drift (PUDPlan for utbygging og drift som leveres myndighetene for godkjenning.) for Valhall Flanke Vest-prosjektet til Olje- og energidepartementet, på vegne av lisenspartnerskapet. Valhall is a giant oil field in the southern part of the Norwegian sector in the North Sea. The Valhall Flank West project aims to continue the development of the Tor formation in Valhall on the western flank of the field, with startup of operation in fourth quarter 2019. Valhall Flank West will be developed from a new Normally Unmanned Installation (NUI), tied back to the Valhall field centre for processing and export. The wellhead platform at Valhall Flank West will be fully electrified, and will be designed to minimize the need for maintenance activities. The platform will be remotely operated from the Valhall field centre. Recoverable reserves for Valhall Flank West are estimated to be around 60 million barrels of oil equivalent. Total investments for the development are estimated to NOK 5.5 billion in real terms. Joint venture owners in Valhall are Aker BP AS (35.95%) and Hess Norge AS (64.05%). 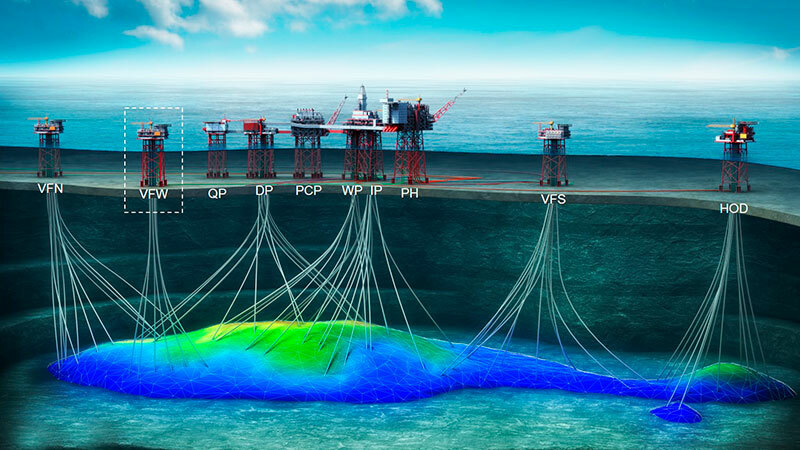 Aker BP ASA has entered into an agreement to acquire Hess Norge AS, and approval for submittal of the PDO to the MPE is conditional upon closing. Furthermore, Aker BP ASA («Aker BP») has entered into an agreement with Pandion Energy AS («Pandion Energy») to divest 10 percent interest in the Valhall and Hod fields. Both transactions are subject to customary conditions for completion, including approval by the Ministry of Oil and Energy, Ministry of Finance and relevant competition clearance. The effective date of the transactions will be 1 January 2017, and closing is expected by the end of 2017.